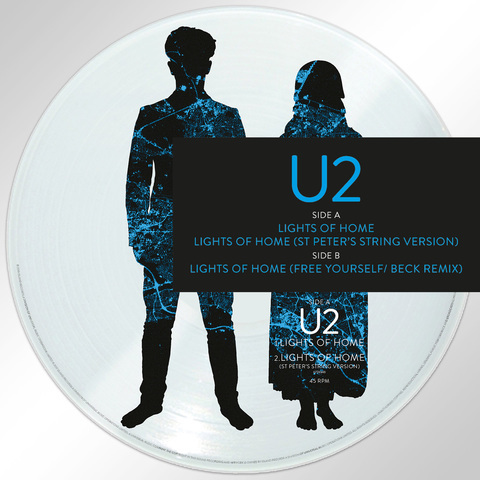 U2 released this Record Store Day exclusive 12" Picture Disc for 2018, containing three versions of 'Lights of Home' taken from Songs Of Experience. Hear the new Beck Remix of (Lights of Home /Free Yourself). Tracks included are: Lights Of Home, Lights of Home (St Peters String Version) and (Lights of Home /Free Yourself/Beck Remix).